A British soldier who bludgeoned a Danish tour guide to death in Cyprus has been freed from jail early. 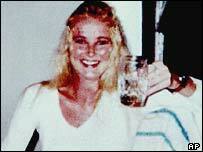 Allan Ford, 38, was one of three men jailed for 25 years on the island for killing Louise Jensen, 23, in 1994. The other two, Geoffrey Pernell, 36, and Justin Fowler, 38, are expected to be freed this month after serving 12 years, news agencies have reported. The three soldiers, of Cornwall and the West Midlands, were with the First Battalion the Royal Green Jackets. Ford, who is from Birmingham, was released last week, the Associated Press and Reuters news agencies have reported. Fowler, from Cornwall, and Pernell, from Oldbury, West Midlands, are set to follow him in the coming weeks. The three were jailed for life in 1996 for abducting Miss Jensen before she was sexually assaulted and battered to death with a spade after they had spent the night drinking. She was found buried in a shallow grave. 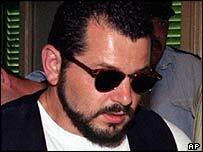 Their sentences were reduced to 25 years on appeal in 1998. With time off for good behaviour and remission they will walk free after serving less than half their sentences. The case cast a spotlight on the behaviour of British troops on the island and prompted a disciplinary clampdown.